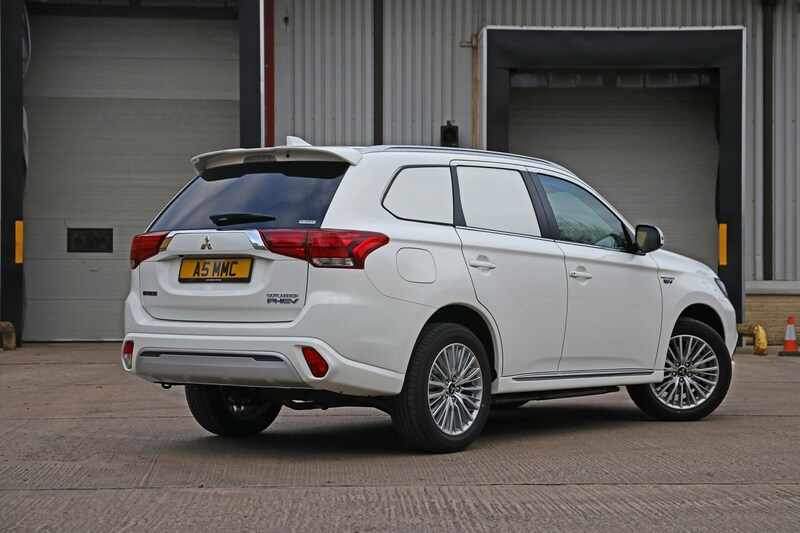 Mitsubishi has announced an update to its unusual Outlander PHEV Commercial model for 2019. This is a van based on the plug-in hybrid electric vehicle version of the Outlander SUV – and is currently the only hybrid light commercial vehicle (LCV) on sale in the UK. The changes for the 2019 Mitsubishi Outlander PHEV Commercial include a new engine and revisions to the chassis, both intended to improve the driving experience. What’s new for the 2019 Mitsubishi Outlander PHEV Commercial? The revised Outlander doesn’t look any different, but there are some significant changes under the skin. Most significant is the new petrol engine, which provides 135hp from 2.4 litres tuned to use a fuel-saving ‘Atkinson cycle’ combustion process. Since the PHEV is a hybrid, this works together with a pair of electric motors – one on each axle – delivering not only low emissions and high fuel economy, but also the ability to travel short distances under electric power alone. The new powertrain is said to be quieter and smoother, as well as providing improved performance. 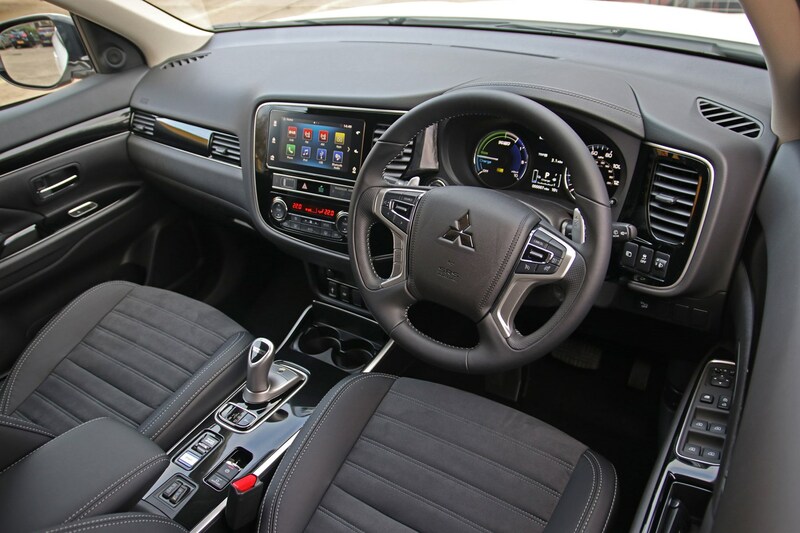 In addition to the new engine, Mitsubishi has also fitted the Outlander PHEV Commercial with revised shock absorbers, quicker steering and updated electronics for the four-wheel drive system. As a result it should be sharper to drive. The Outlander has a choice of Normal, Snow and Lock driving modes, and full four-wheel drive is available at all times, even when using just the electric motors. What’s the mpg of the 2019 Mitsubishi Outlander PHEV Commercial? 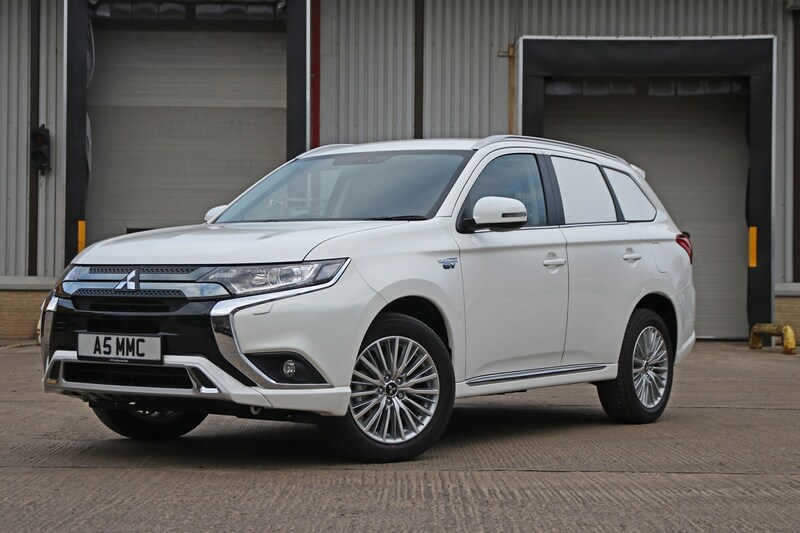 According to the latest official testing regime, WLTP, the new engine gives the Outlander PHEV Commercial claimed fuel economy of ‘139mpg’. And if you think that sounds mad, consider that under the old NEDC testing process, the claimed figure would be ‘159mpg’. We’ve put the figures in quotation marks because our previous experience with PHEVs of all kinds suggests the chances of most operators seeing numbers like that in real-world driving are very slim indeed. The only exception to this will be among owners and drivers travelling short-ish daily distances who are also willing and able to plug in the Outlander and fully charge its on-board batteries at least once a day. The more you’re able to use the batteries, the less fuel you’ll use. Official CO2 emissions are 46g/km (40g/km NEDC). How far can the 2019 Mitsubishi Outlander PHEV Commercial travel under electric power? The WLTP measure puts the electric-only driving range of the 2019 Outlander PHEV at 28 miles; it would be 33 miles under NEDC. Again, take those figures with a pinch of salt. How far you get before the battery starts flagging will very much depend on how and where you drive, and how much you’re carrying at the time. 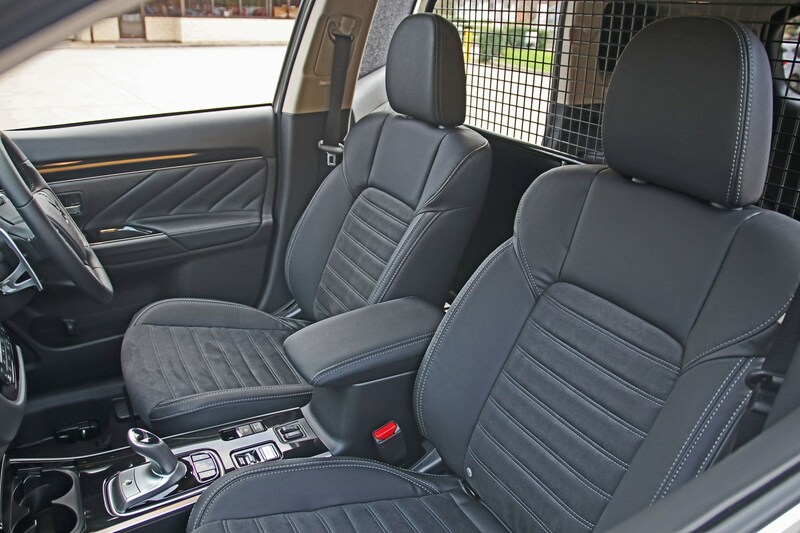 As is often the case with vans derived from passenger vehicles, the Outlander is generously equipped. 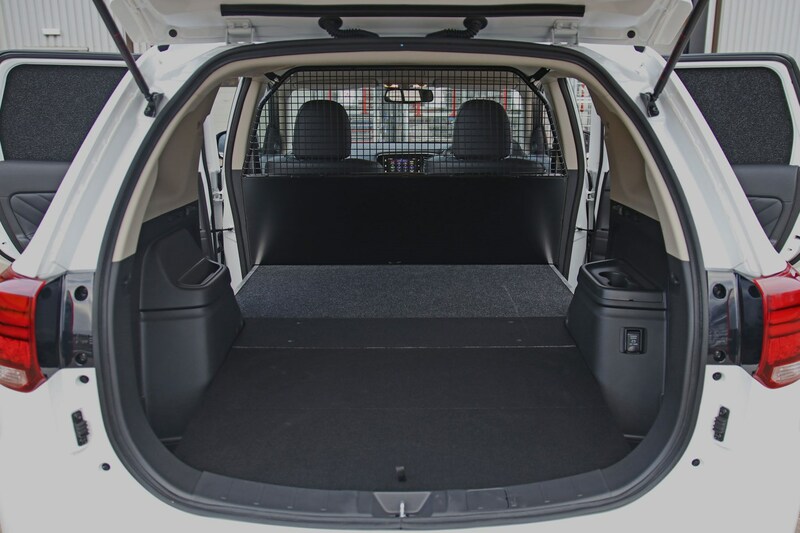 To create a suitable load area, the Outlander Commercial has a flat platform in place of the rear seats and blanked off rear side windows (though the rear side doors do still open). A full bulkhead protects the front seat passengers from the load compartment, solid at the bottom and metal mesh at the top, meaning there’s still some visibility out of the glass rear window. 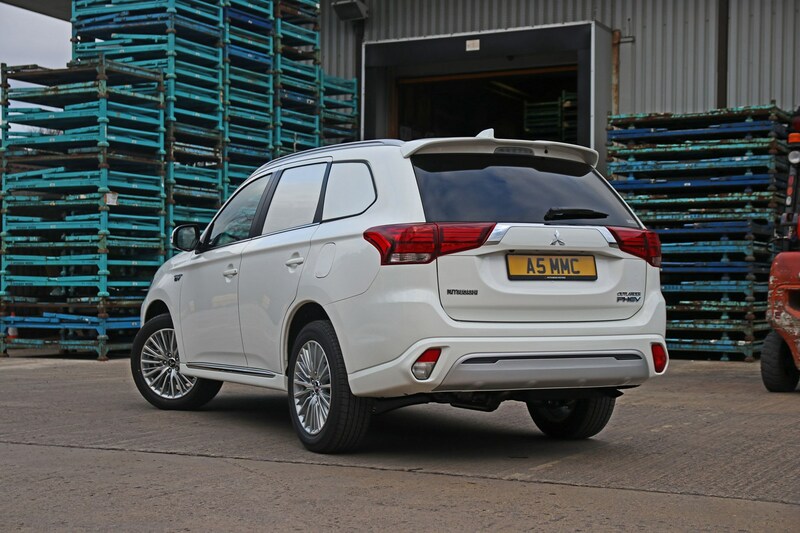 The Mitsubishi Outlander PHEV Commercial’s maximum payload is 510kg. How much does the Mitsubishi Outlander PHEV Commercial cost and when does it go on sale? The new model is available to order now, with prices starting at £25,113 – excluding VAT. That price includes a £7,900 saving thanks to eligibility for the government plug-in-van grant. Are there any other hybrid vans available? Not yet, but the Ford Transit Custom PHEV is set to go on sale before the end of 2019.